Following in the trail blazed by Dead Rising 2, the next Resident Evil game may come from the Great White North. SOCOM developer Slant Six Games could be the latest studio tapped by Capcom to create its games. 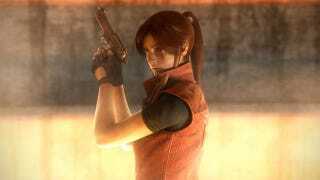 A document forwarded to Kotaku indicates that a new, team-based Resident Evil game is currently in development at Slant Six. The developer is responsible for SOCOM:U.S. Navy SEALs Confrontation for the PlayStation 3 as well as two iterations for the PSP, Tactical Strike and Fireteam Bravo 3. Named (or codenamed) in the document as Resident Evil: Raccoon City, Slant Six looks to be staffing up to bring even more zombie game development to Vancouver. When contacted for comment, publisher reps said "Capcom does not respond to rumors and/or speculation." Slant Six Games writes on its official web site that it is currently in development on "an amazing new project" that is unannounced. That project is being developed in conjunction with a "new publishing partner on a world class franchise." Several Slant Six current and former employees list an unannounced "multiplayer action game" for the PlayStation 3 and Xbox 360 on their LinkedIn profiles. In March of this year, Slant Six solicited work for a "Japanese translator/interpreter." Capcom has looked outside of Japan for help on some of its better known franchises, including GRIN (Bionic Commando), Ninja Theory (Devil May Cry) and Blue Castle Games (Dead Rising 2), another Vancouver based studio that had its zombie project leaked well in advance. Thanks for the heads up, Hawk.